Violins Etc. is turning 25! We're turning 25 and we want to celebrate with you! Please join us on April 22nd for our anniversary party. 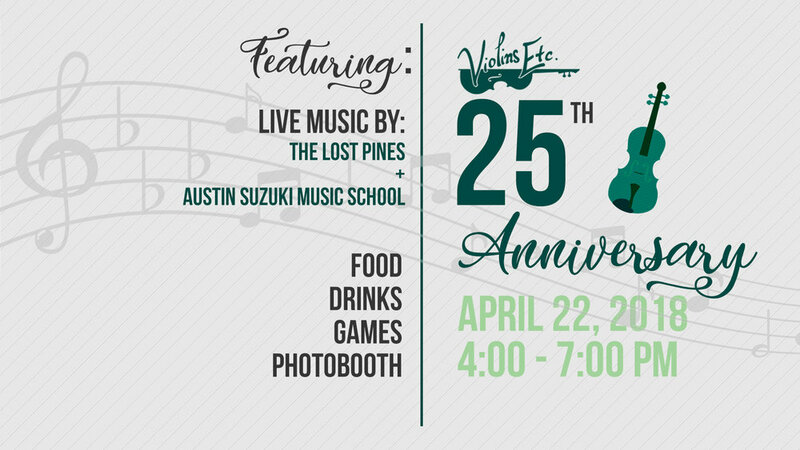 There will be live music by The Lost Pines and Austin Suzuki Music School, food, drinks, games, and a photo booth. Swing by anytime between 4 and 7 pm! We are so grateful to be a part of the Austin music community and have loved serving Austin string players for the last 25 years. We hope to do this for many more years to come.